It’s been a while since I’ve done a review of any kind. 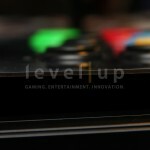 Between Level|Up and real life, there isn’t much time to sit down and enjoy a game in full. 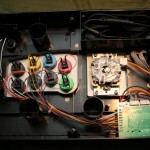 However, I have been keeping up with one of my passions; arcade sticks. 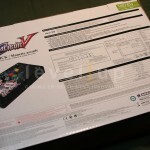 The last time I reviewed a stick was when I dissected the very first Mad Catz Tournament Edition Stick (http://www.youtube.com/playlist?list=PLBDEC0E72AC5926C6). Due to time limitations, I will not be producing a series of videos. 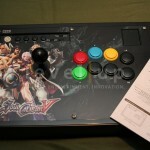 Instead, I will be compiling a review that won’t be the typical lackluster I-got-a-free-stick review. 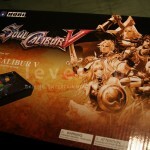 With that said, I am honored to be reviewing the new Soul Calibur V Stick by veteran peripheral maker, HORI. Let’s get to the nitty gritty. Handle: One of the most overlooked features of any stick is the carry handle. 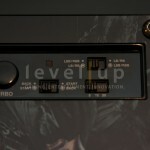 Some peripheral makers have already incorporated this feature into their designs. 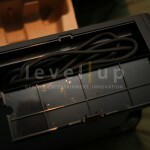 HORI takes this idea in a different direction and adds a handle to the box; turning the often abandoned box into a useful transportation case. 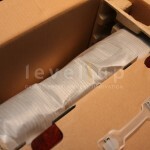 Design: There is plenty of detail on the box itself. The front showcases the stick along with the art piece that is used on the art panel. The back highlights all of the features of the stick. 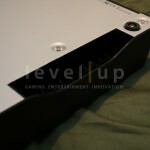 However, there is no mention of the integrated side handles. I’ll cover that later in the review. 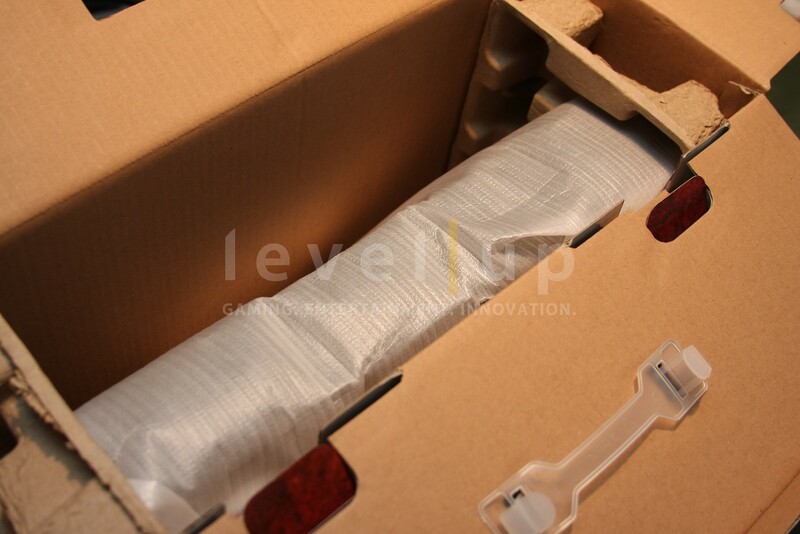 Internal Packaging: As with all HORI joysticks, the SCV stick is wrapped in foam wrap and two slip-on egg carton sides prevent the stick from bouncing around inside the box. 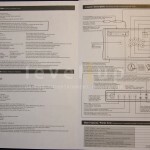 Instruction Manual: While sticks are an intuitive device to use, the instruction manual explains how to use some of the more intricate features of the stick: Turbo, Turbo Hold, Turbo Speed, and Button Assignment. Weight: At 6.4 pounds, you have a nice and heavy stick without any added bulk.Stick Shell: The foundation of the stick is the ABS plastic shell. ABS is the standard material used for most mass produced sticks. 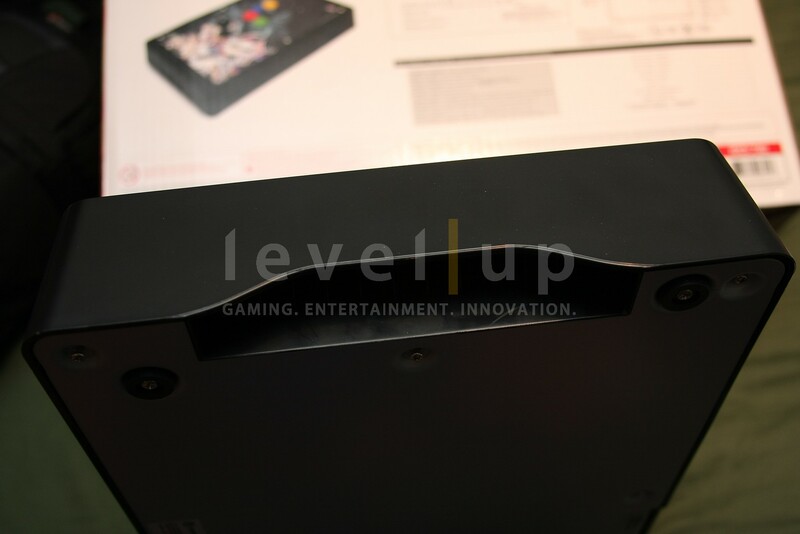 Unless you launch, melt, or take a hammer to the case, you have a durable shell that can take a normal beating.Steel Panels: The top (covered by the art piece) and the bottom panels that sandwich the shell are made of steel. It’s not stainless because I have seen these panels rust after the protective finish wears off. The top panel (and artwork) is secured to the shell by six 4mm bolts. Six bolt nuts are mounted in the bolt pillars to provide threads for the bolts. 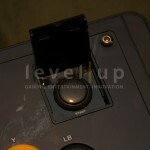 The top panel also has a welded mounting bracket that is used to mount the directional joystick. 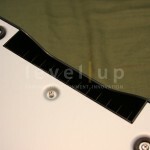 The bottom panel is secured to the bottom of the shell using 8 small phillips screws. As with the bolts, these are metric sized screws. Using the incorrect screwdriver will mar or strip the screws. 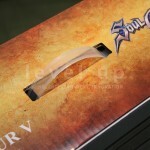 Durability: The overall construction of the SCV stick will stand up to the typical button mashing, slamming, and raging abuse. There’s no need to baby this one. 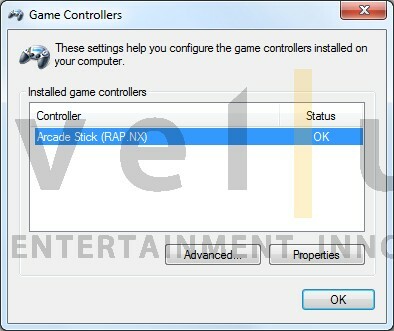 PC Compatible: This stick is officially licensed by Microsoft and it should work with any Windows PC. 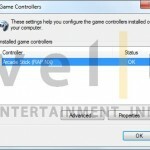 Installing drivers for the stick is as simple as plugging it into an available USB slot. 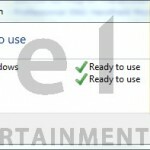 Windows 7 screenshots shown. 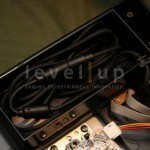 USB Cable and Cable Bay: The cable bay is deep enough to hold the 9.8ft USB cable. 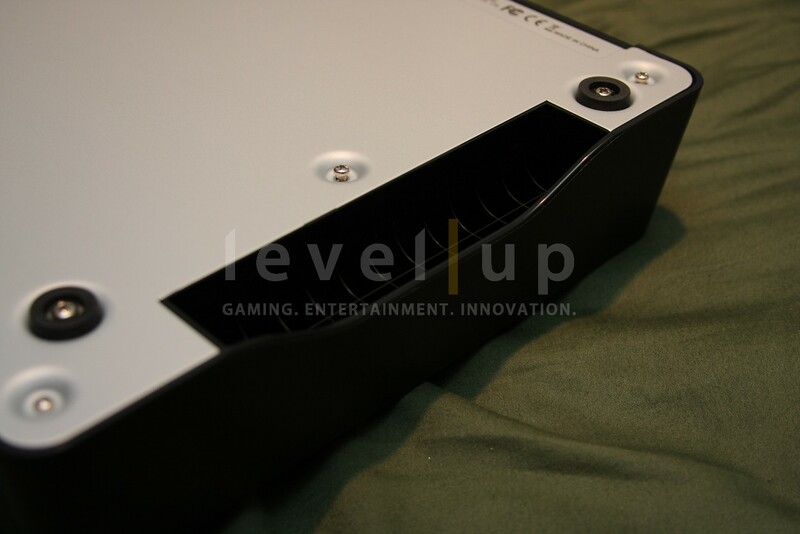 As with any integrated cable bay, the cable must be folded to match the width of the bay. However, you can afford to be a bit sloppy thanks to the generous room. 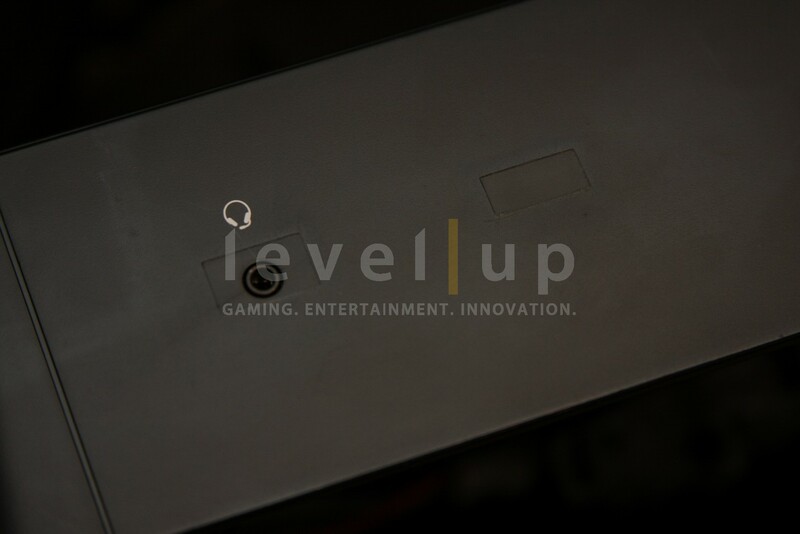 Headset Port: There is a convenient port to plug in your new style Xbox360 headset. Older styled headsets are not supported. 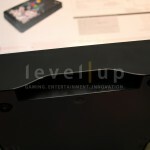 If you are wondering what those two rectangles are for, they are actually used on the PlayStation 3 version of the stick. 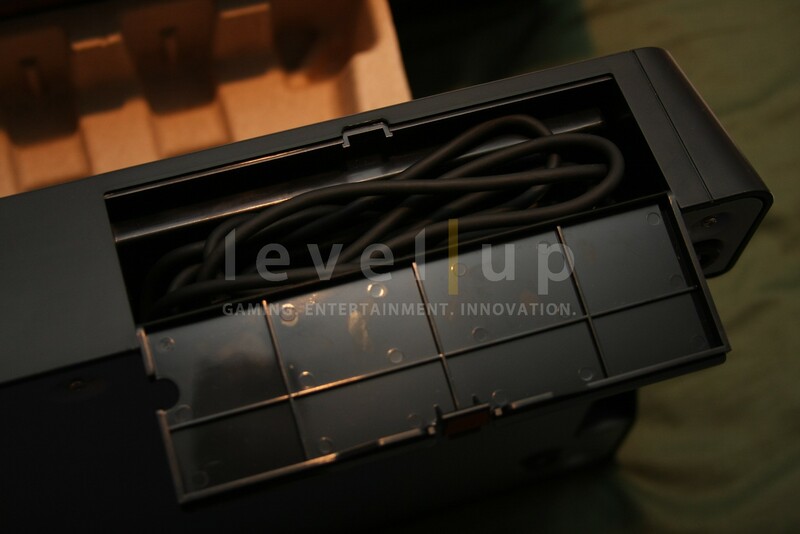 The PS3 version has two USB slots to be used with a headset and keyboard. Artwork: The artwork is on a .5mm thick sheet of plastic that is entirely affixed to the top steel panel with a tough adhesive. Those wishing to change the art will have a difficult time peeling it off. See the Mod-ability section below for tips on how to remove the art piece. 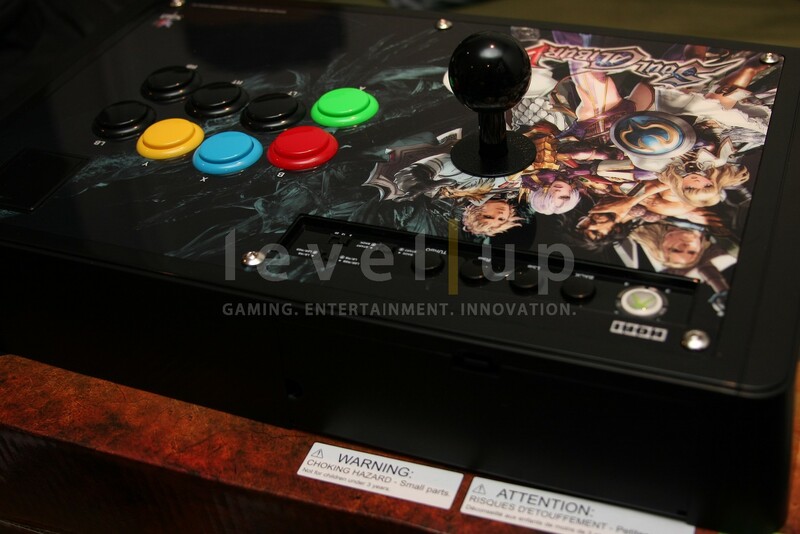 Sanwa Parts: Even though this stick is not part of the HRAP series, it does come with Sanwa OBSF-30 buttons and a Sanwa JLF-TP-8YT-SK joystick with a black ball-top. 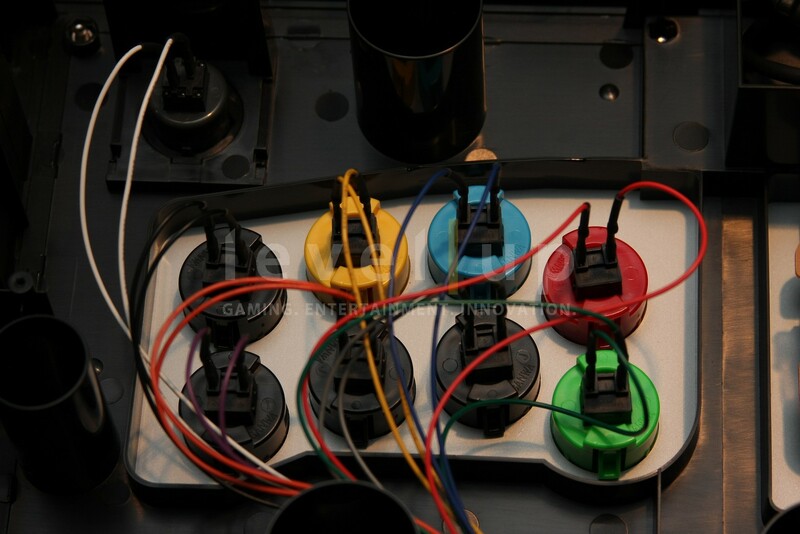 Button Layout: The button layout mimics the traditional Soul Calibur setup as indicated by the colored buttons seen below. The order from left to right is A, B, X, and Y. Below X and Y are Left-Trigger (LT) and Right-Trigger (RT) respectively. 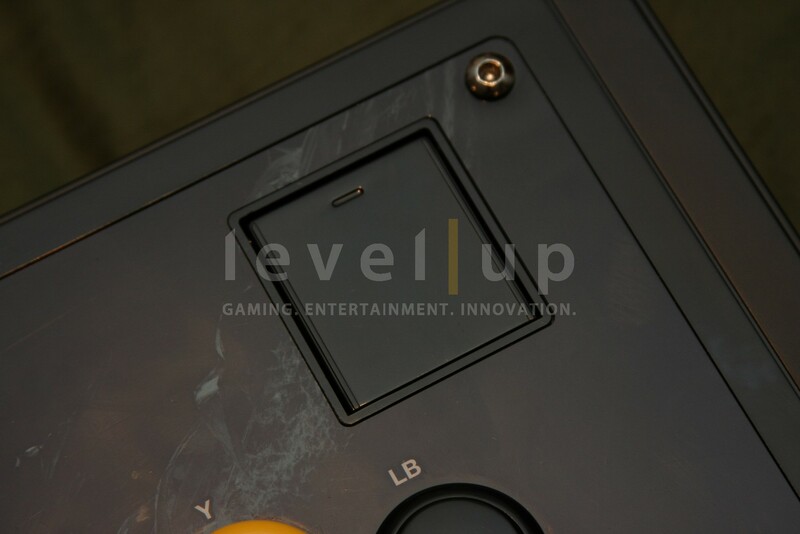 The rightmost buttons are Left-Button (LB) and Right-Button (RB). 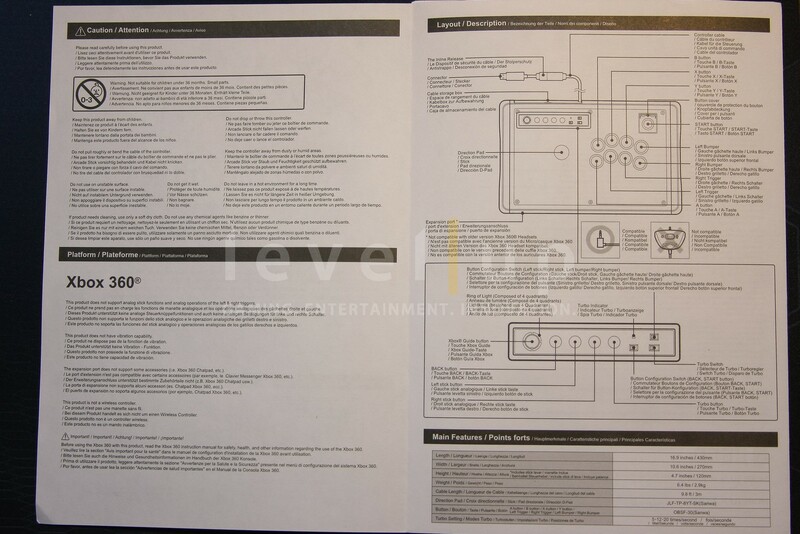 LB and RB can be changed to function as Left-Stick Button (LSB) and Right-Stick Button (RSB) using a slide switch in the control panel. This will be covered later. Rubber Feet: Four quality rubber feet are mounted to the bottom panel to prevent movement when the stick is used on a table or wide laps. 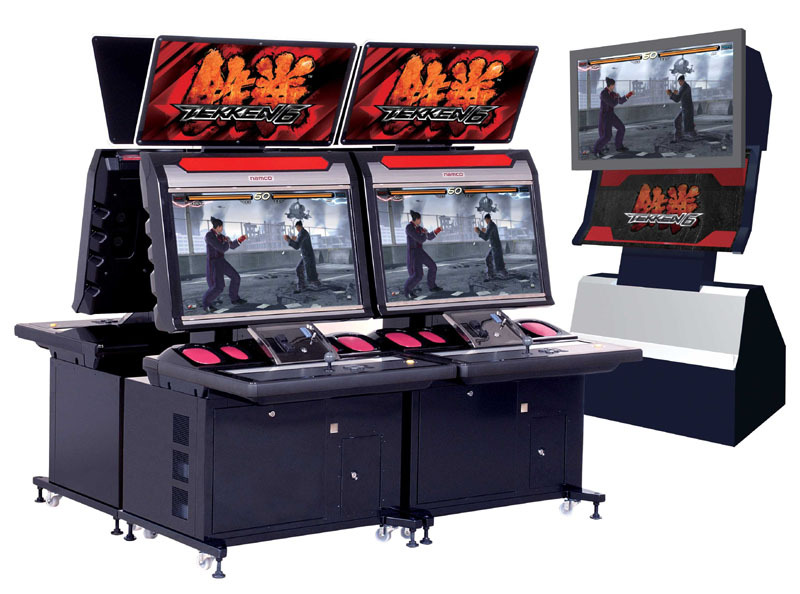 Side Handles: Instead of integrating a carry handle into the stick like other manufacturers, HORI decided to add two carry slots on the sides of the stick. 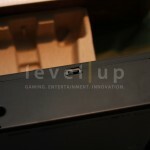 While these slots provide an easy way to lift the stick off of a table or your lap, there isn’t enough room underneath on either side to comfortably use these slots as a one-handed handle. 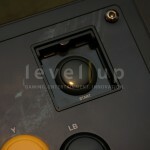 Start Button Cover: This is one feature that is unique to the SCV stick. I have never seen such a cleaver way to prevent players from accidently pushing the dreaded Auto-disqualification button. When looking at the design of this feature, simply having the button deeply recessed would have been enough. 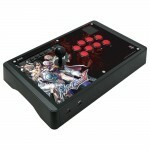 HORI takes it one step further and adds a cover you can easily open and close. Genius! Turbo: A standard feature on most of the sticks produced today. To set Turbo mode for a button, first hold the Turbo button down and then push a button once. Turbo Hold: This function lets you set a button to automatically fire so you don’t need to hold down the button. Turbo Hold mode is set by pushing holding the Turbo button and pushing a button twice (or once if the button is already set to regular Turbo mode). Turbo Speed: A slide switch lets you determine the rate of fire of the Turbo function. You can choose between 5, 12, or 20 times per second. 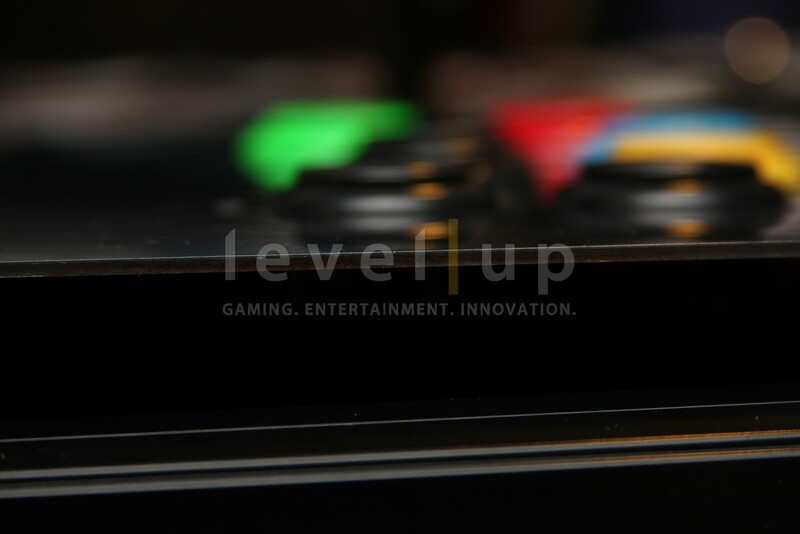 Left-Stick and Right-Stick Buttons: These are also known as L3 and R3 in the PlayStation world. 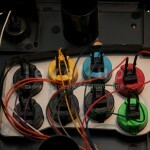 Although fighting games don’t often use these buttons, HORI threw in these buttons to cover every possible button input. 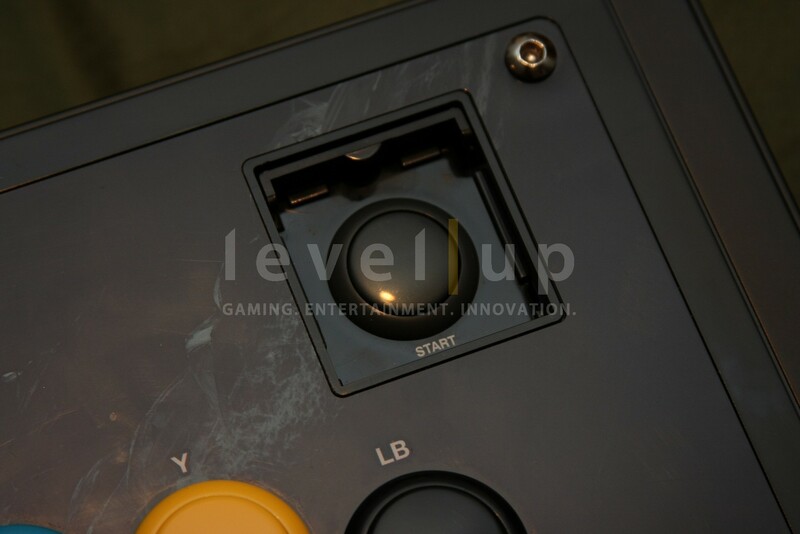 These buttons can also function as LB and RB using the provided slide switch. 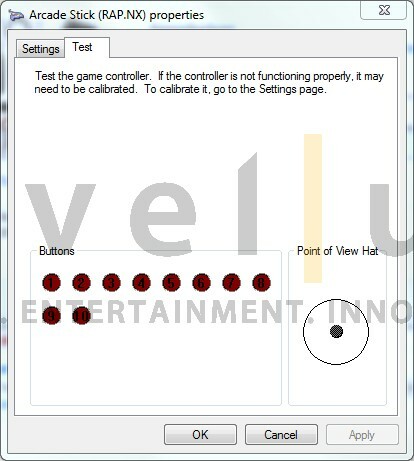 Button Assignment: HORI added the ability to swap the functionality of several buttons on the stick. 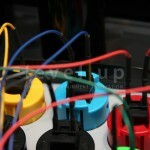 If you prefer to use the Start button as the Back button, you can swap their functions using a slide switch. 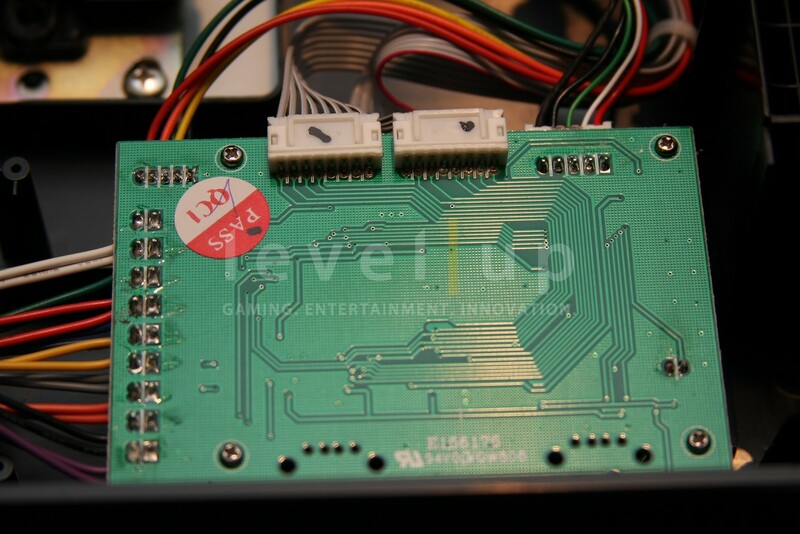 You can also swap the functions of LB/RB and LSB/RSB. 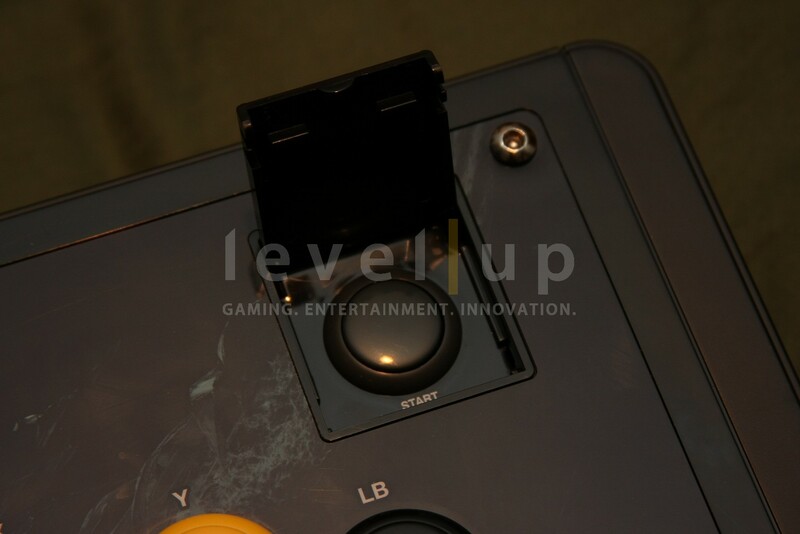 Since most if not all fighting games don’t use RSB or LSB, you can technically use this slide switch to “disable” the right most buttons. 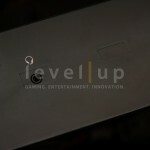 Warning: Neither Level|Up or myself take responsibility for what you do to your SCV stick. The following information is only for educational purposes to fulfill the curious minds reading this review. Again, we DO NOT take any responsibility if you damage your stick. 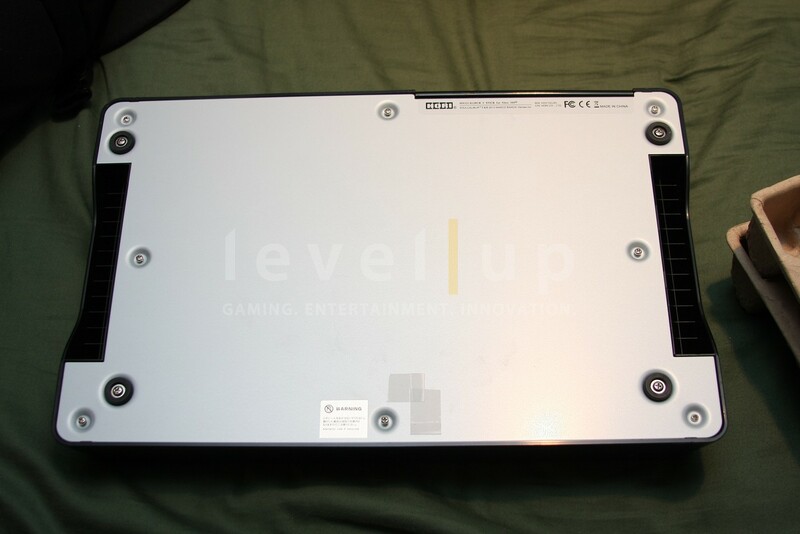 Warranty Sticker: There is one screw on the bottom panel that is covered with a sticker that clearly states how to void your warranty. 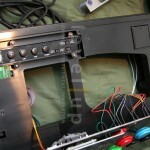 The average person may heed the advice but I’m a modder and I take everything apart. Let’s explore the insides of this stick shall we? Removing the Top Panel: Unscrewing the six 4mm bolts will completely remove the top panel from the shell. 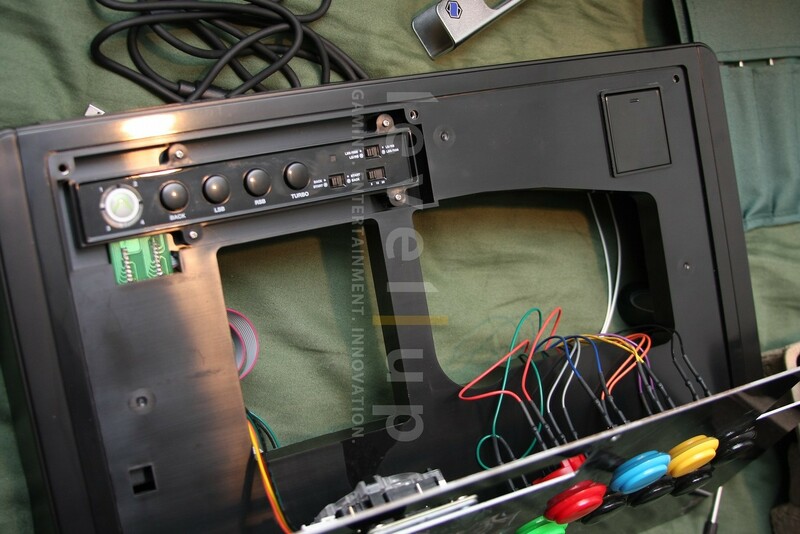 The only things holding the top panel to stick itself are the wires that are connected to the buttons and the joystick. 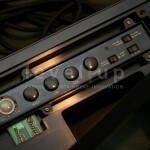 Removing the Bottom Panel: Do not unscrew the rubber feet. You only need to unscrew the 8 small screws to gain access to the inside of the stick. 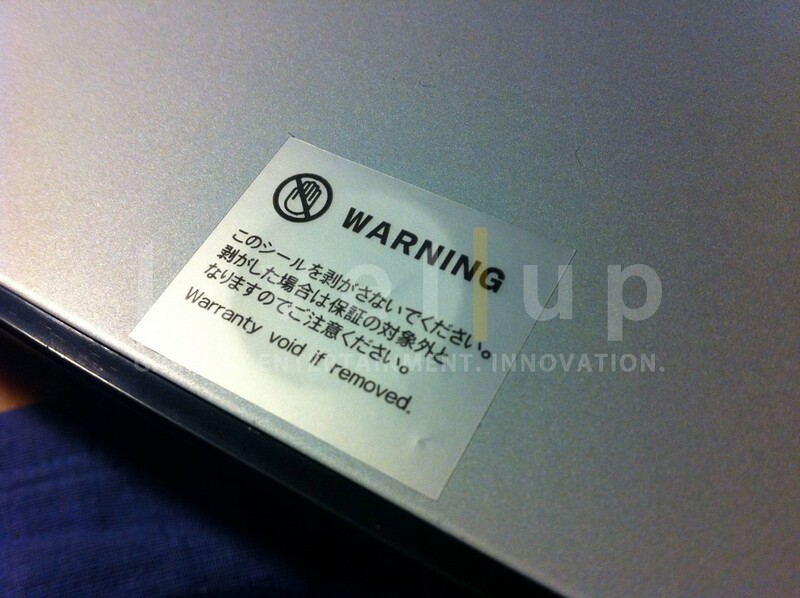 I relocated the warranty sticker in the picture. 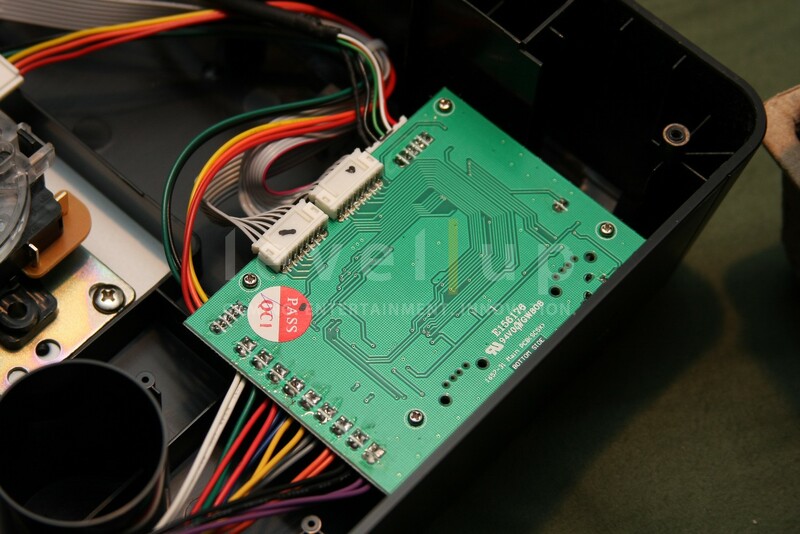 Sanwa Parts: As mentioned previously, the SCV stick comes with authentic HORI parts. 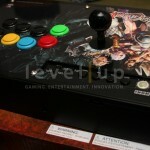 There are no HORI proprietary buttons or joystick. 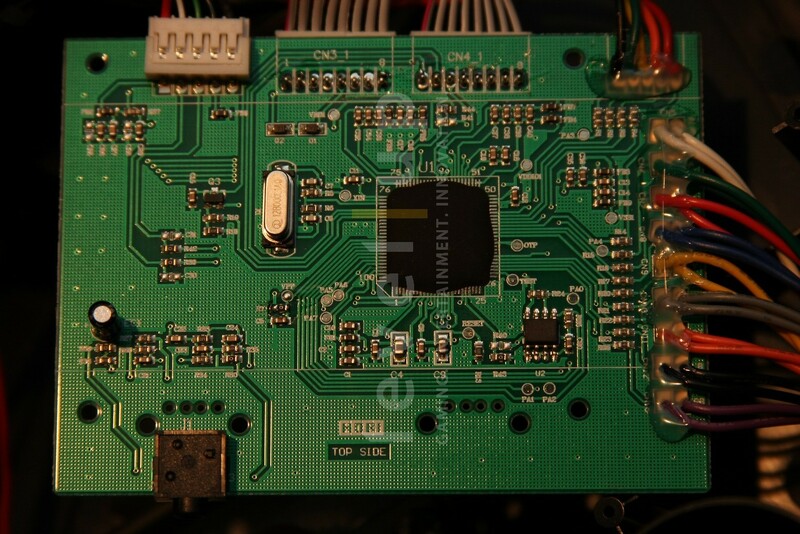 Printed Circuit Board (PCB): There are two PCBs in this stick. 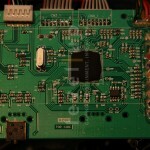 The control panel PCB and the main PCB. 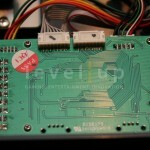 Everything connects to the main PCB. 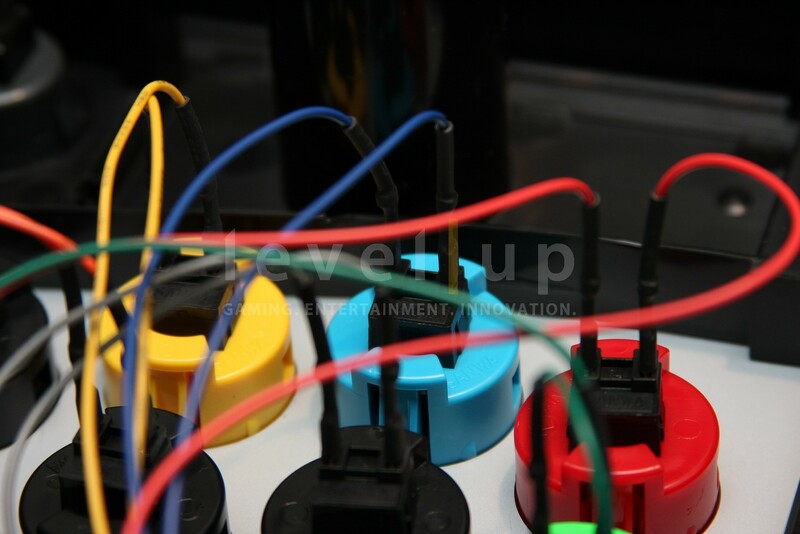 Button Connectors: The connectors that plug into the buttons are .110 connectors that have heat-shrink. A very slick and minimalistic presentation. 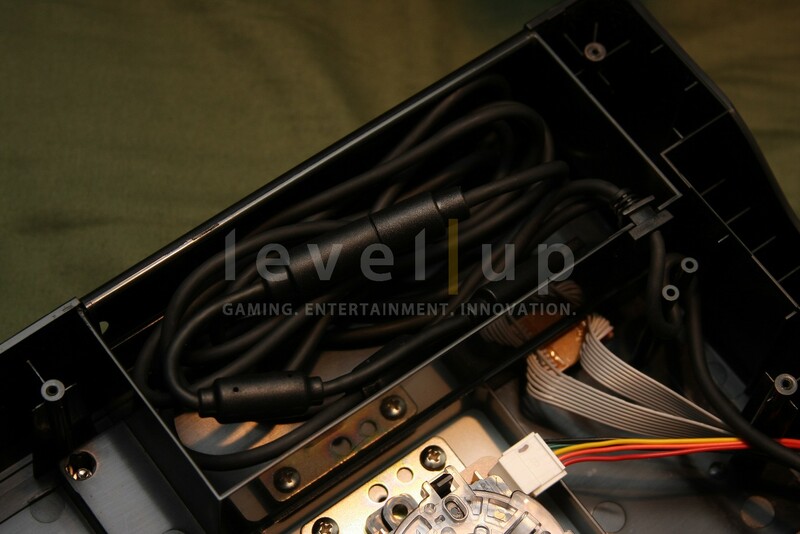 USB Cord: As with all Xbox360 peripherals, the 9.4ft USB cord features the breakaway cord at the end to protect your console from the late night, rage inducing online matches. Changing the Art: As mentioned in the Features section, changing the art on this stick will be a difficult task. HORI is known for using a tough adhesive to affix their art to the top panels. HORI didn’t do this to prevent you from changing the art. 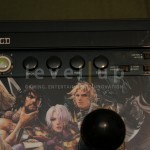 Applying adhesive to the entire art piece prevents it from warping or bowing over time.To change the art piece, you pretty much have to risk destroying it using some techniques I resorted to in the past when modding the Official Tekken 5 Stick for the PlayStation 2 (also made by HORI). Technique 1 – Brute force followed by adhesive remover: With some strength and elbow grease, you can forcibly pull off the art piece. You will then be left with a ton of adhesive to remove. To remove the adhesive, you can use soak the stuff with WD-40 or Goof Off. Technique 2 – Heat gun, peel, and adhesive remover: If you have access to a heat gun, you can heat the underside of the steel panel to loosen up the adhesive. This is probably the best route to go if you want to try and preserve the art piece. In my opinion, I would just leave the art piece alone. Changing the art will take quite some time and is tedious work. It’s a beautiful stick and should be kept that way. 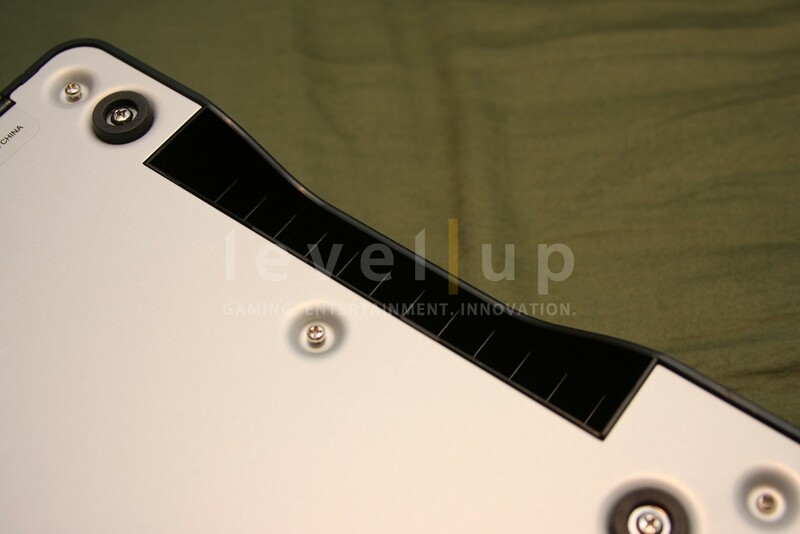 Bottom Panel Access: Unlike the original HRAP series of sticks, unscrewing the bottom panel gives you full access to the inside of the stick. 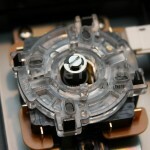 This makes it much more convenient to do maintenance on the stick if needed. Changing the Buttons: Changing out the buttons is very simple thanks to the open design of the inner case. 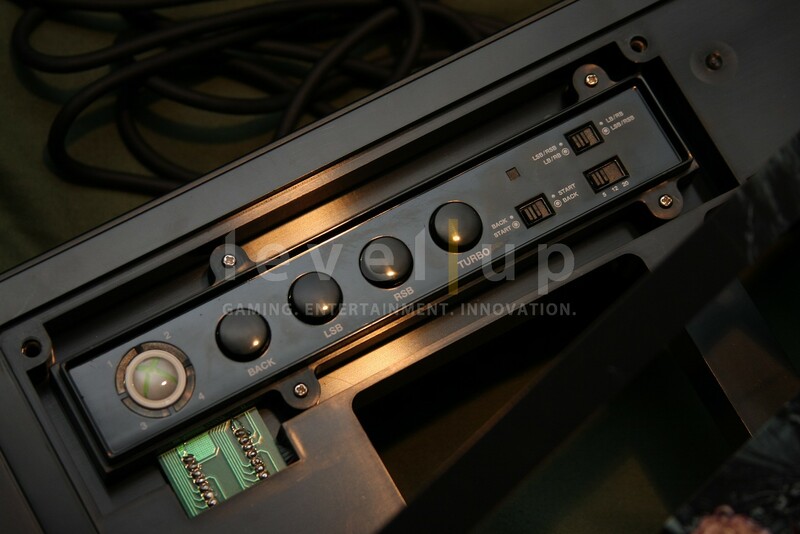 Remove the bottom panel, remove the button connectors, pop out the buttons, and replace to your liking. 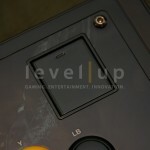 Changing the Joystick: The mounting bracket accommodates the standard JLF-P-1 mounting plate. 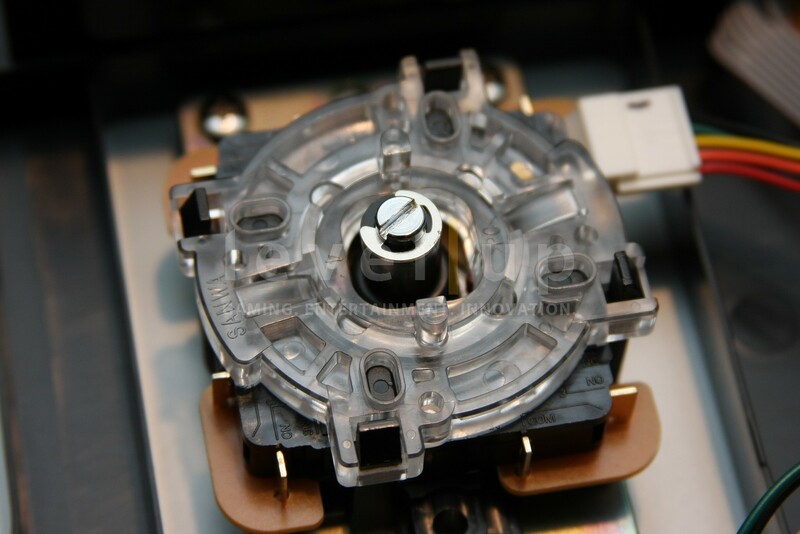 Nothing is covered so you can easily replace the JLF PCB, restrictor gate, and other various parts of the JLF. 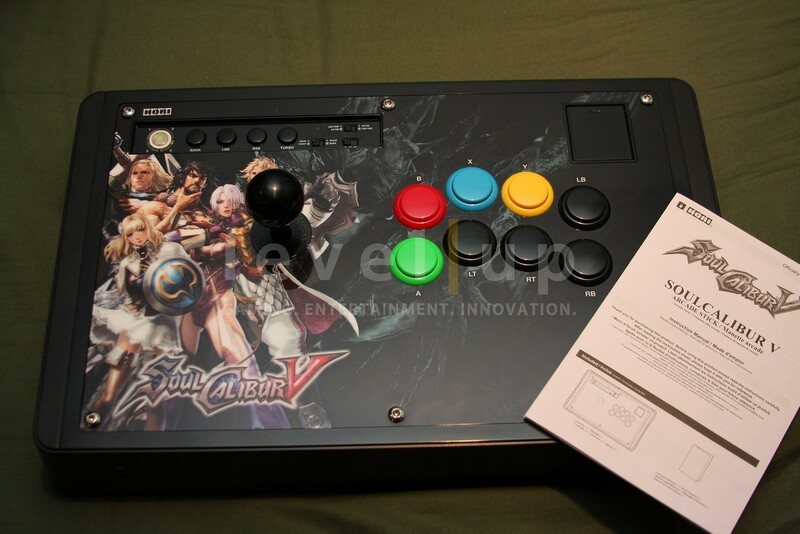 If you want to use a Seimitsu stick, you will need to use one that uses the MS or RE mounting plate. 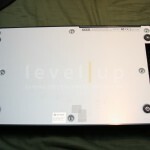 Dual-Modding: There is plenty of room inside the case to add a few more PCBs for those wishing to dual-mod their sticks. 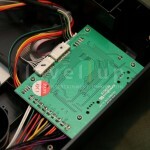 All of the soldering points on the PCB are large and open for your hungry soldering irons. 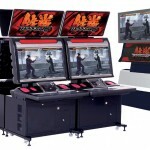 HORI first made their big debut in the US by releasing their original HRAP series of sticks. 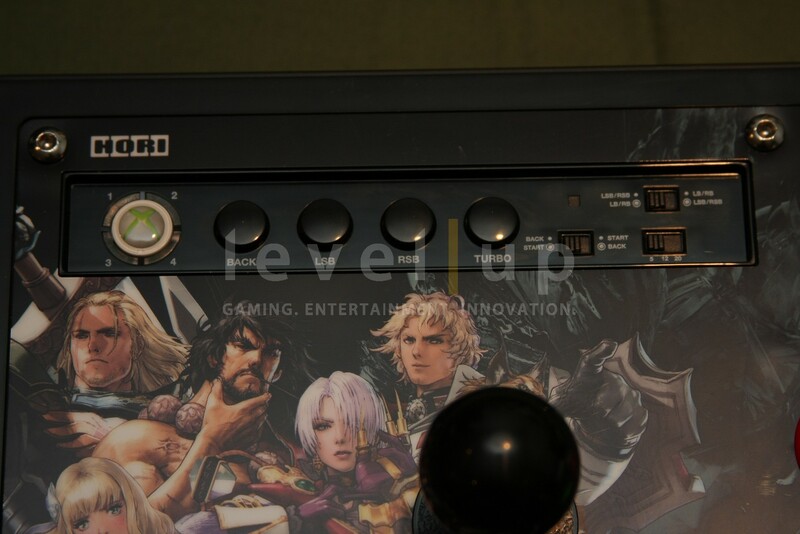 They maintained a strong position for several years until rival company Mad Catz began producing their own line of sticks. 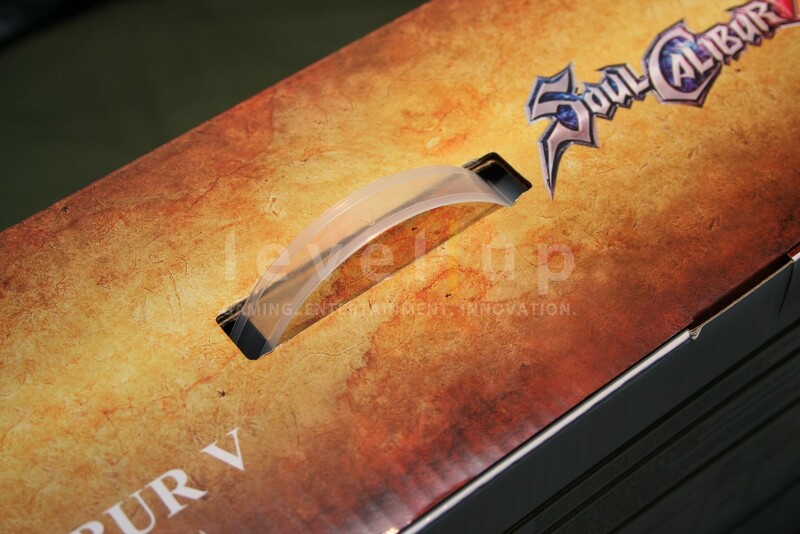 The stick wars is an ongoing battle but HORI may have released a stick that could tip the scales more towards their side.The Soul Calibur V stick is unique in both design and features to warrant the label of “original.” These days, it’s hard to find a stick that isn’t a clone of another. HORI went back to the drawing boards to design a peripheral that simply is not “just another stick.” The minimalistic design really makes you look twice to enjoy how cool this stick is.There isn’t much I would change about this stick. The artwork and color scheme work well. It functions fine and can take a beating. If there is anything I would change, it would be the side handles. I would make the handle pockets deeper so I can carry the stick comfortably with one hand. 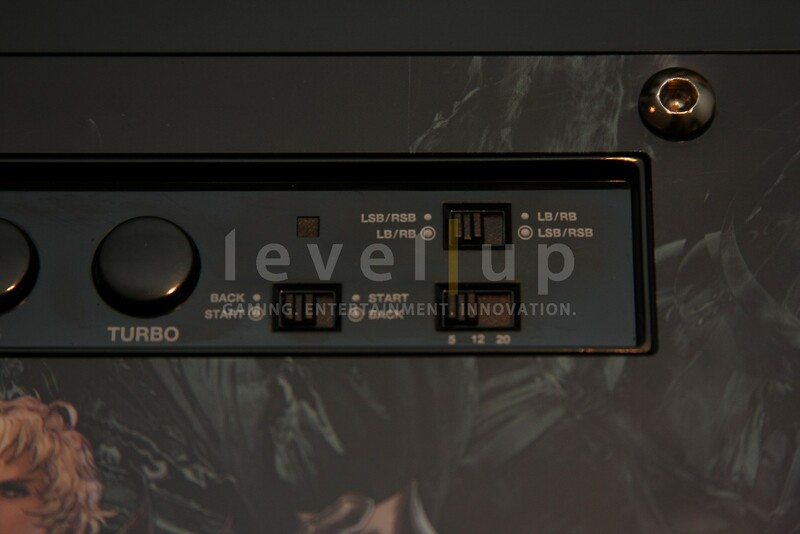 With the innovation of the Start button cover, I am expecting HORI to maintain this feature on all of their future products. Don’t be surprised if you begin seeing this feature on other sticks. If you do, just remember who did it first. It works on a console. It works on a PC. 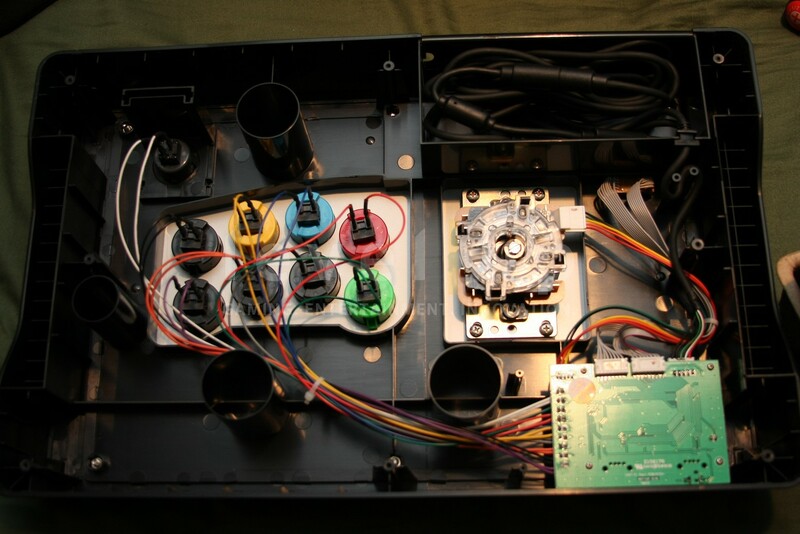 It has Sanwa parts. 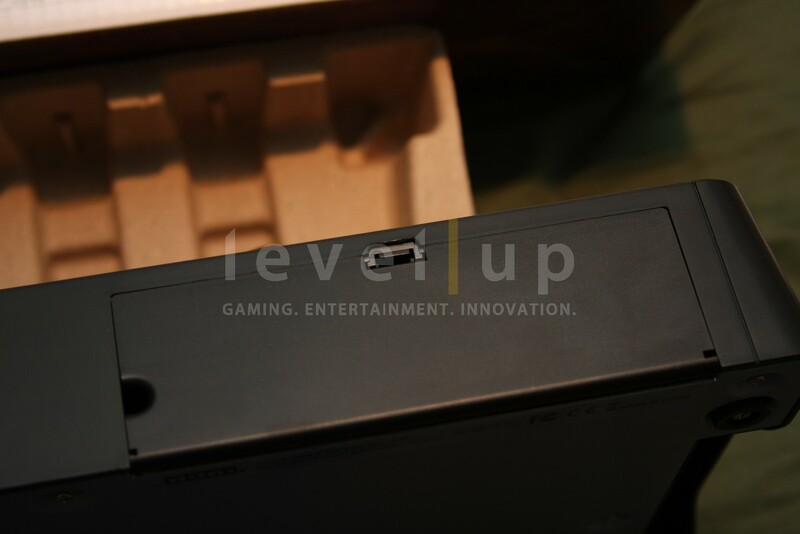 It has a Start button cover! This stick has so much to offer. 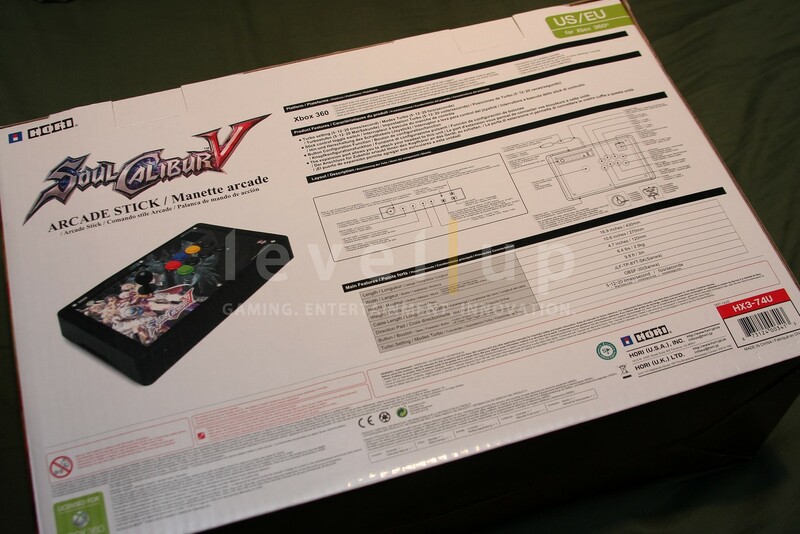 If HORI continues to release original products like the SCV stick, the stick wars are about to get a whole lot more interesting. I’m looking forward to what HORI has in store for the future. 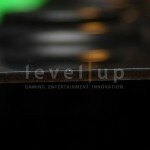 Jimmy Nguyen is the Chief Operations/Financial Officer and Co-Founder of Level Up, LLC. 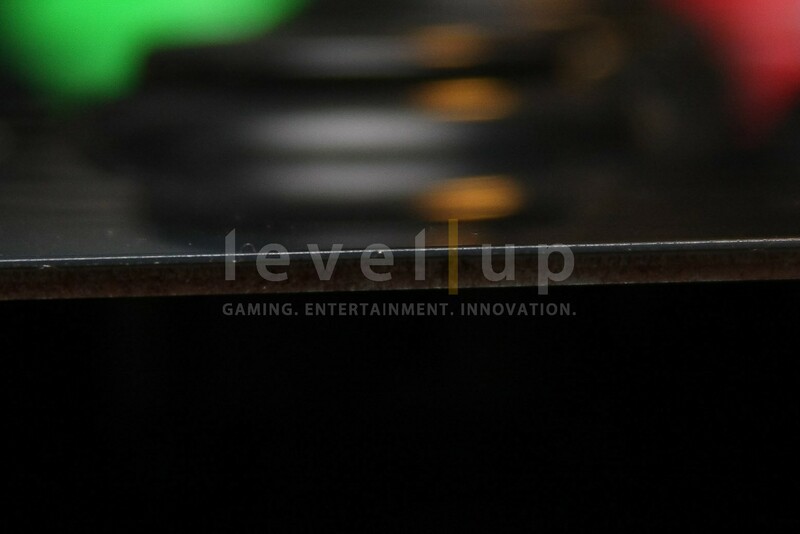 A long time gamer, tech guru, former competitive player, and tournament organizer, he is deeply rooted in business development, ethics and best practices, building and improving Level Up Productions, and handles both company and event logistics. Just wanted to say I picked up this stick based partially on your review and I’m glad i picked it up. 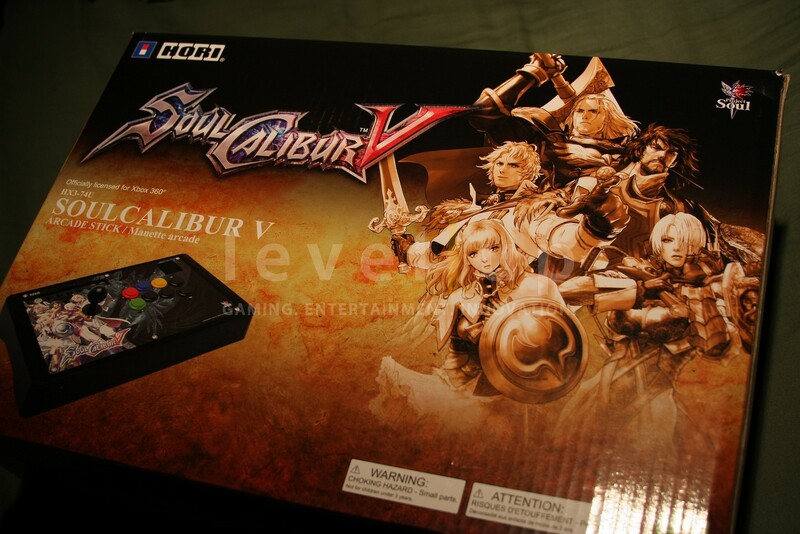 It’s a lot better than my old Mad Catz SE. So…thank you! Excellent review! Great pics and in-depth coverage/commentary. Thank you!